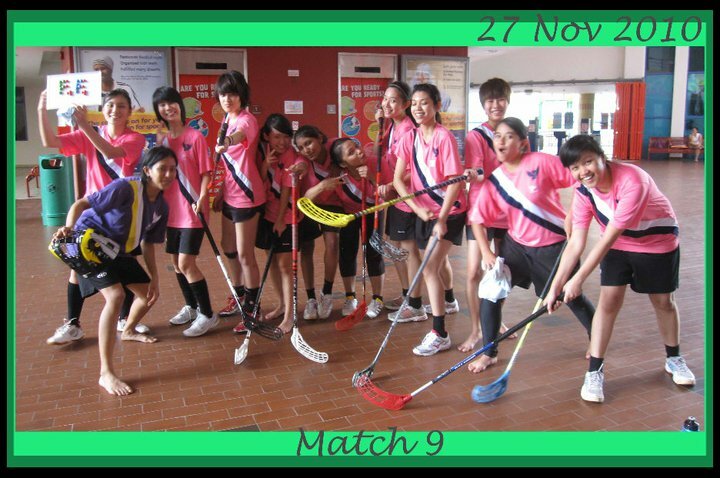 We won our last two matches against Springfield Secondary and Swiss Blacks. Against Springfield, we conceded a goal in the first period but came back to win it 6-1! We started even worse against Swiss Blacks with a 2-goal deficit. But in both games, the girls digged deep to pull through. I enjoyed their spirit. They were very much in the mood no matter the scoreline and our goal celebrations were full of life. with the girls having work committments etc, it was bound to be difficult but the girls played tremendously well. watched the second goal get deflected from Anna’s stick into the top left of my net, a part of me thought we were done for. Who would have thought we’d be given a lifeline from Q and her line followed by a goals from Elai despite us being a player down and Q scored again. just had training tonight. Girls played well! We plan to train on Friday and Saturdays as well next year. If that doesn’t help us win a game, I don’t know what will! Besides, since we can get a court for the girls, why not?! We had a good training session on Tuesday night with two girls joining us for fun. And now, we’re going to play our first relegation match against NYP. We’re currently at the bottom of our table and of course, fighting to get out. It will be tough as everyone will play just as hard. But the girls will give it their all despite our lack of players who can make it this season. On another note, we’ll be helping out as road marshall/ game demo/ registration helpers at the Active Aging Day event on 9 January that will be attended by 350 elderly men and women. Perhaps I should force the girls to wear our highlighter pink jerseys there. Loooool. We played our final league match against SIM Inferno but oh well, we lost again! They drew first blood but our new recruit, Q, equalised for us. We even got a goal up by the third period but a melee in front of my goal line and an accidental deflected own goal from a free hit gave them the lead with ten minutes to go. Floorball is definitely cruel. We were crushed. Still at the bottom of the table despite our efforts. But I can’t deny that I’ve never had such a fun experience before. All the goal celebrations and after-match outings from clubbing to watching Harry Potter together to running for buses in the rain and impromptu birthday celebrations. The girls have been awesome all season and they’re even more competitive than me! The season is ending in a few weeks and who knows- some will move to better teams for I can see the girls have potential. And I do hope my players get the exposure to be fantastic players. I’ll be so proud of them! Author funfloorballPosted on November 22, 2010 March 28, 2011 Categories Season 2010: Division 2Leave a comment on We lost again. We finally gained our first point in our nerve-wrenching match against Valtina Warriors! They were a physical team but that’s something positive- to come to every match raring to go. We should learn from that. As usual, there was a trade of curses especially from AZA but that made the game even more intense and fired up. They had 31 shots at us and 21 vice versa. 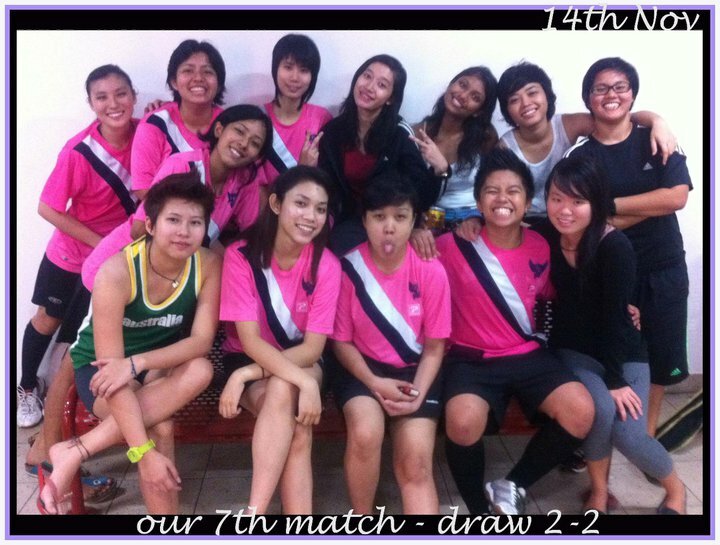 Our captain for this match was Haha, who was outstanding as our last man despite her cooler-than-thou personality. Our defence – Shyqah, Haha, Hafidza and okay, well,……….. Anna did a great job while the forwards were at tumble tots class up front. 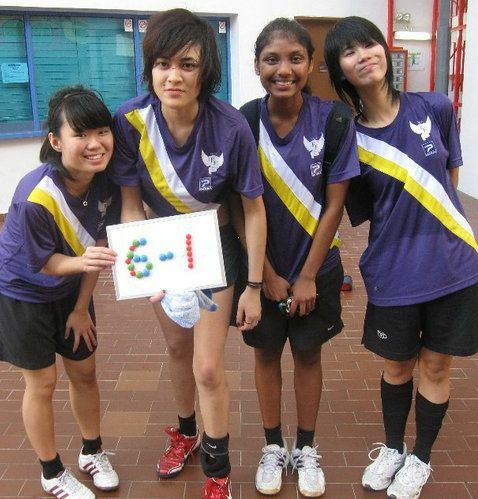 We went wilddddddd when Shing scored her first goal and Francine equalised for us! Thanks again to Mimi for coaching us! Fish of schools!! Author funfloorballPosted on November 15, 2010 March 28, 2011 Categories Season 2010: Division 2Leave a comment on 1 Point, Finally! Same place, same time. All are invited! Will update on our gruelling match against Merahan Knightingales soon!